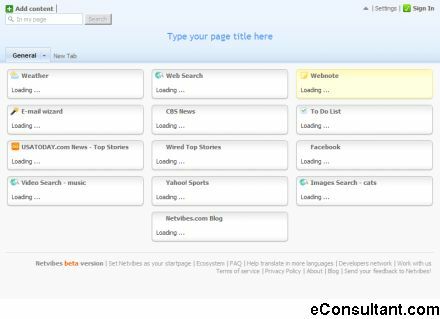 Description : To create a personalized page with the content they like. To put together data feeds and services from web 2.0 with a very simple interface. To access your page anytime and from any computer .